What makes a good Irish pub? Recently, we spoke with two experts in the Irish pub business to find out the ingredients for an authentic and successful pub. Donal Ballance is an Irish pub consultant and former Guinness brand manager, and Darren Fagan helps reproduce the setting of traditional Irish pubs as Senior Project Manger at the Irish Pub Company. Darren and Donal have both worked with the the Irish Pub Concept, a boutique project within Guinness that seeks to promote the brand by building a shrine to the beer and its Irish heritage. Darren claims the Irish pub is a “romantic idea of Ireland and what Ireland is” that recreates Irish practices of socializing around the world. They both believe an authentic Irish pub can be replicated outside of Ireland through careful design and innovation. In North America alone, there are approximately 3500 Irish pubs, 1500-1800 of which were developed by or inspired by the Irish Pub Concept. The Irish Pub Concept builds the Irish pub experience through far more than a tap list of Irish beer, but rather the unique design of traditional pubs in Ireland. Irish pubs began as small rooms inside people’s homes, and today retain the same elements of intimacy in their commercial design. The Irish Pub Concept recreates this intimate atmosphere through twisty, curved spaces, back bars, and separate, private areas for conversation. 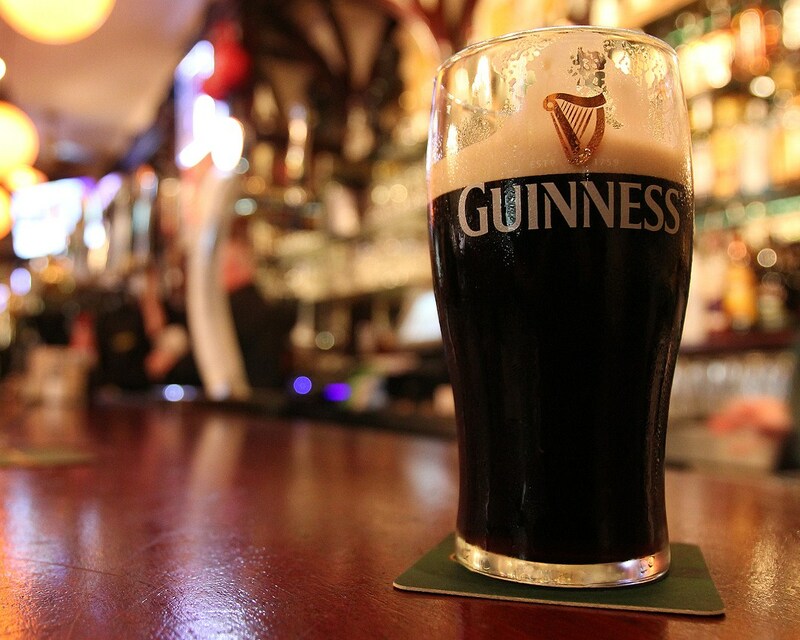 In terms of the beer, Guinness remains an iconic ambassador of Irish culture, and the frothy stout continues to draw many to Irish pubs around the world. Guinness is unique in more than just taste, as a hydrogenated beer that requires specialized storing and pouring. Bartenders often receive specialized training in serving Guinness to ensure its quality. However, recent trends in fast casual dining and the rise of microbreweries are changing other aspects of the Irish pub menu. Darren notes Irish pubs are emerging from the “cocoon of everything Irish” to include competing stouts, local breweries, and ciders. Traditional fish and chips are appearing alongside artisanal cocktails and small plates. Both Darren and Donal credit these innovations with keeping Irish pubs relevant in the 21st century. To hear our full interview with Darren Fagan and Donal Ballance, download the Innovation Navigation podcast.